As you might already know, Unity is the new shell for Ubuntu 11.04 which was released a couple of days ago. 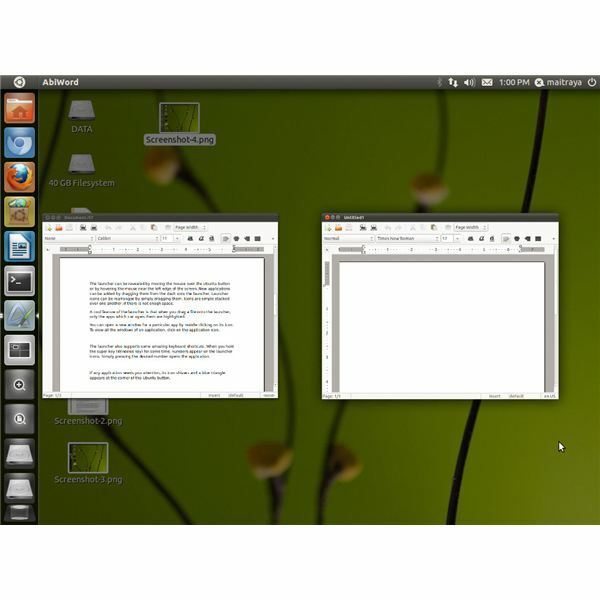 Unity is a part of the Ayatana project and is developed by Canonical Ltd, the official sponsors of Ubuntu. Since the announcement of the project in 2010, Unity has generated a lot of buzz in the Linux world. While Unity 3.8.10 has received mixed reviews, let us look at Unity in detail and see why it is a step forward. Ubuntu Unity has two versions: Unity 3D (for harware that support 3d acceleration) andUnity 2D (for older hardware). 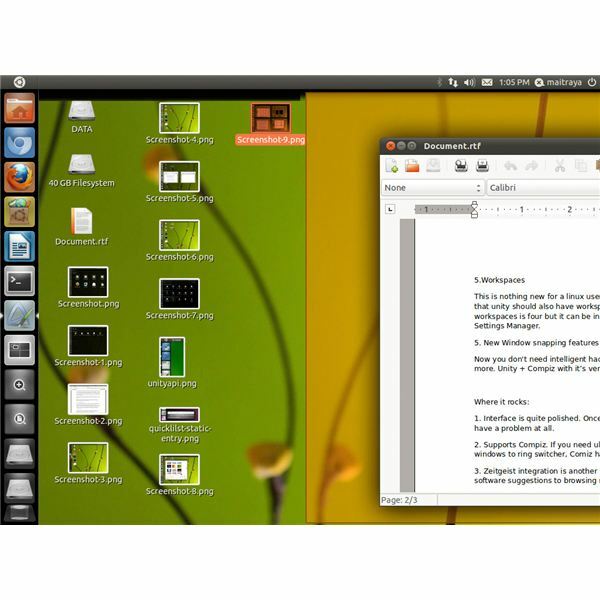 As of now, Ubuntu 11.04 does not include Unity 2D by default, but uses classic GNOME as a fallback system. We are therefore going to concentrate on Unity 3D. One of the key components of the Unity design is the Dash. 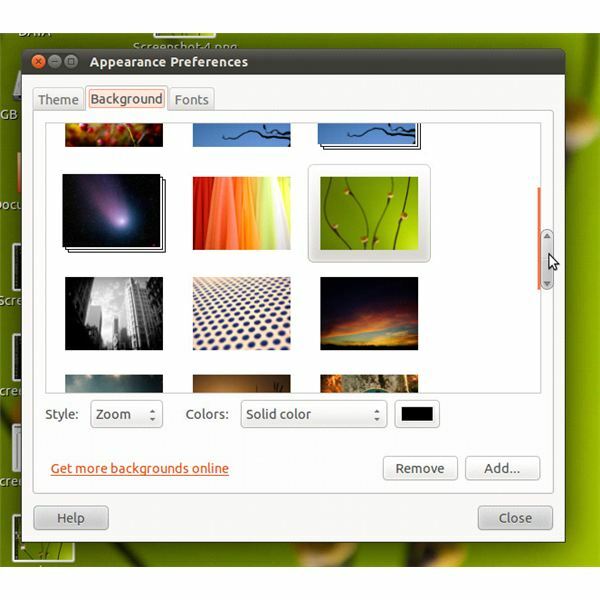 It is meant to be a replacement for the Applications, Places and System of GNOME 2. The Dash uses an intelligent technology called Zeitgeist, which is responsible for more relevant search results. 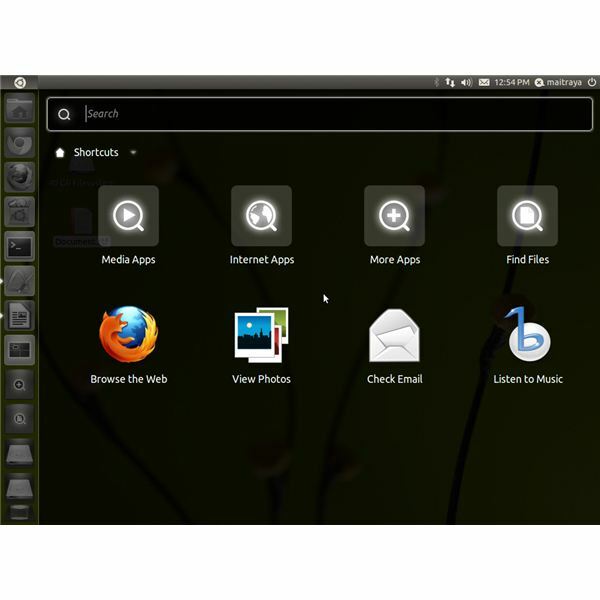 By using Zeitgeist, Ubuntu knows what applications you use frequently and makes sure they are available at your fingertips when you search for them. Clicking on the Ubuntu icon at the top left of the screen reveales the dash. The dash is resizable (for desktops) while it occupies the full screen for smaller devices. Besides having a search bar, dash also has options to browse files, applications, check emails, browse the web or listen to music. (Large icons make it suitable for touch-based devices). Only the top panel is present in Unity. With the removal of the bottom panel, the user gets more screen space (this is especially beneficial for netbooks). The panel has a redesigned indicator area with a new sound menu, clock and sessions menu. Another important feature is the presence of the window controls on the menu itself for maximised applications.Ubuntu softwares now have a unified global menu on the panel (a lot like Mac). The launcher is definitely a killer feature. The launcher, present at the left of the screen,provides a replacement for the standard window lists for managing running apps as well as opening new windows. Moving the mouse over the Ubuntu button or by hovering the mouse near the left edge of the screen reveals the launcher. New applications can be added by simply dragging them from the dash onto the launcher. A cool feature of the launcher is that when you drag a file onto the launcher, only the applications which can open the file are highlighted. You can open a new window for a particular app by middle clicking on its icon. 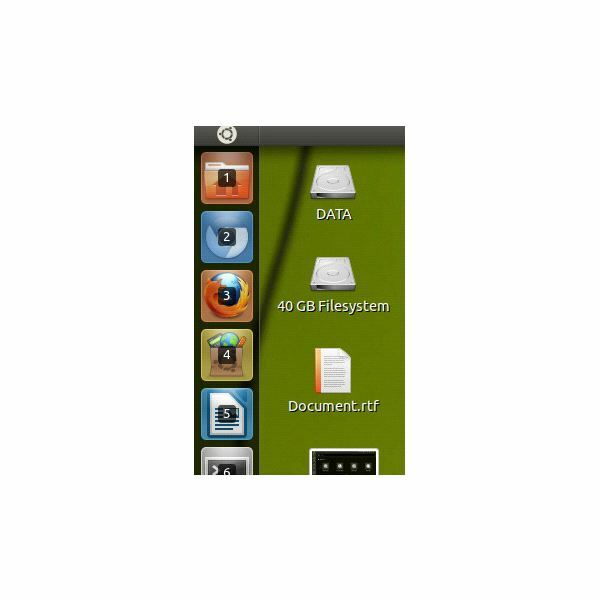 To view all the windows of an application, click on the application icon. The launcher also supports keyboard shortcuts. When you hold the super key (Windows key) for some time, numbers appear on the launcher icons (and letters appear on the lenses). Simply pressing the desired number/letter opens the application. After pressing the super key for some time, numbers appear on the icons. If any application needs you attention, its icon shivers and a blue triangle appears at the corner of the Ubuntu button. An Ubuntu launcher API is also in development. According to the Ubuntu wiki, the launcher is able to support quicklists, counters and progress bars. Chromium is just one of many applications which takes advantage of the advanced launcher features. This is Canonical take at scrollbars. In my opinion, they are pretty useful for touch-based devices as well as desktops. 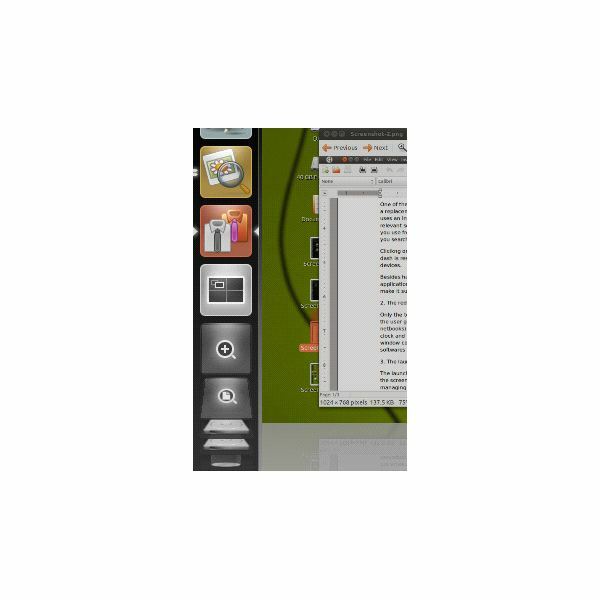 The conventional scrollbars of many applications have been replaced by a thin orange bar. Hovering your mouse over the bar reveals the overlay scrollbar. This is nothing new for a Linux user, and therefore it is not surprising at all that unity should also have workspaces. The dock has a permanent workspaces icon. Clicking on it shows all the workspaces. By default, the number of workspaces is four but it can be increased/decreased using Compiz Config Settings Manager. Now you don't need intelligent hacks to enable "aero-snap" features any more. Unity+Compiz comes with it’s very own ‘edge snap’ plugin named ‘Grid’. Dragging the title bar of a window to the top panel maximizes the window, while dragging it to the side snaps it to fill half of the screen. Nice animations add to the eye-candy. Interface is quite polished. Once you know how things work, you won't have a problem at all. Supports Compiz. If you need ultimate eye-candy, this is it. 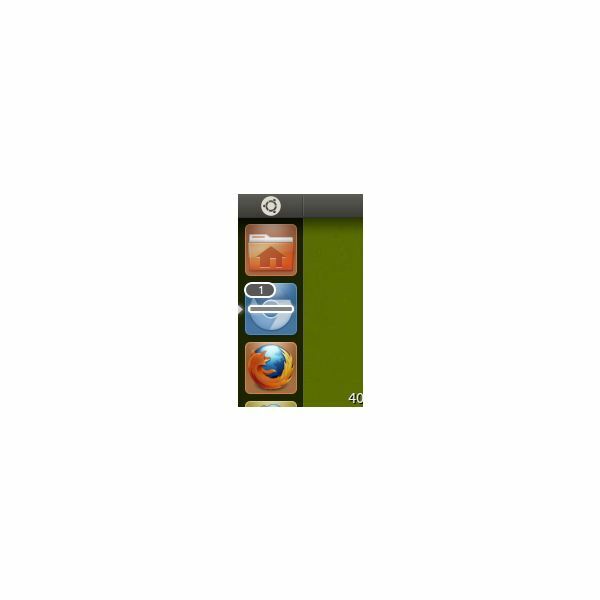 From wobbly windows to ring switcher, Comiz has everything it takes to attract new users. (Mutter, which is used by GNOME-shell has improved a lot, but still hasn't attained feature parity with Compiz). Zeitgeist integration is another killer feature. Works out of the box. From software suggestions to browsing recently opened files, you have it all! The famous "aero snap" feature makes its debut as a compiz plugin. Animations for maximize/tile add to the eye-candy as well. 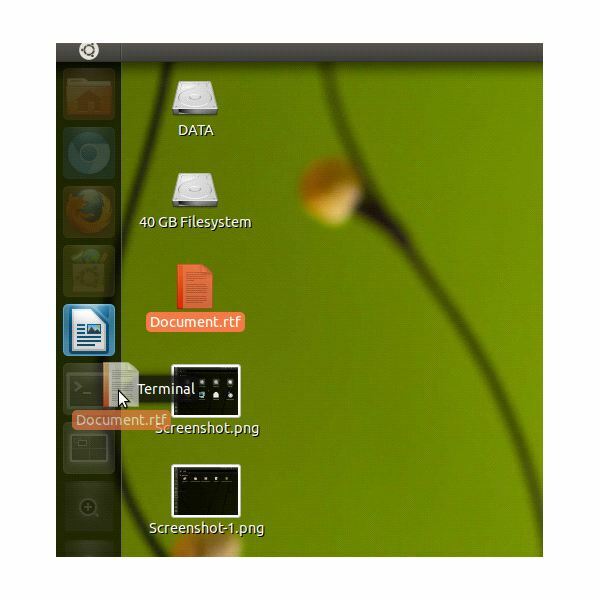 You can use GTK2 themes to theme the system to some extent, but compared to Gnome shell, Unity needs more improvement. Overlay scrollbars are not available for all applications. Non-GTK applications have a hard time using them. Workspace management needs to be improved. Gnome shell has a better way to manage workspaces. If you felt that Unity would satisfy the power user in you, then you were wrong. If you are used to the extreme customisability of KDE, you are bound to found Unity a bit stiff. Having said that, nothing is perfect and Unity is no exception. For Unity to go mainstream, you need another six months of development. Hopefully by Oneiric Ocelot, Unity will be fully mature. At present Unity and GNOME 3 are incompatible with each other and therefore it would be unwise to expect that upgrading Unity to GNOME 3 will be smooth and error free. In fact, upgrading to GNOME 3 breaks Unity and a downgrade is not possible. But there is no need to worry as Ubuntu is also moving to the GNOME 3 stack with Unity. Hence, in another six months, you can expect Unity and GNOME-shell to peacefully coexist. All images have been provided by the author.